Discuss: Do they get it? Oh wait! A few minutes later, they cite the lumpley Principle! And use the term "fruitful void"... I'm confused now. I'm not sure where their current understanding is in all of this. I had thought nothing from Ron or Vincent Baker had ever touched them, but obviously that's not the case. Now they're talking about players that improvise a story without using any rules at all... I wish somebody told them it's a matter of improvising a story using rules that help you do that. All this being said, it's one thing to discuss the old essays reading them all, and another to just read that one essay. I looked it up just now, because in my mind I get it confused with "GNS and other matters..." and the others, and, wow. It's so short... and outdated... I mean, Ron, you have the phrase "play results in a good story" describing Narrativism there. Really not the same as encountering the concept of "Story Now". I've been struggling with how to comment on this for a while, and also thinking about my PhD advisor telling me, twenty-eight years ago, that when your title is a question, it probably means you are saying "no." Maybe I should have led by rudely asserting that I don't think they do, and then inviting comment to create a more positive set of conclusions. In imagining such a set of comments, one thing that emerges is what you mention, that despite talking initially about the Big Model, they exclusively address "System Does Matter" from 1999. And it's an artifact. I stand by everything I wrote there as historical phenomena, i.e., I know why I used which phrases or suggested which possibilities based on that moment of game-history and my outlook. But to treat it as if it - somehow - reached into the future to produce a distilled summary of what I or anyone would be later concluding ... I don't really get that. But I'm struggling to get over whatever author-indignation boils up because of that particular thing, and to say, "all right, what do they say that's to be addressed." And yes, they're great about not getting sidetracked by the term story, and the general tenor of the thing is certainly positive. But I definitely need others' ears to help me listen in continuing to work out what - at this time - has been successfully communicated, as indicated by this focused, well-articulated set of perceptions. It's no surprise you are struggling with how to comment! If it had been one speaker, you could address that one speaker's understanding, but all three of them have three different levels of familiarity with the original piece and with the theory y'all hammered away at at the Forge. Scott Dorward seemed the most familiar with the the theoretical context of "System Does Matter," and you can hear him trying to direct the conversation and challenge his co-hosts to dig a little deeper--and I think he does an admirable job--but the others are there to have opinions more than to poke and prod at the essay. It reminded me of my teaching days, watching undergrads engage with Orwell's experiences in Marrakech. Well-intended, and not stupid, but not especially probing either. 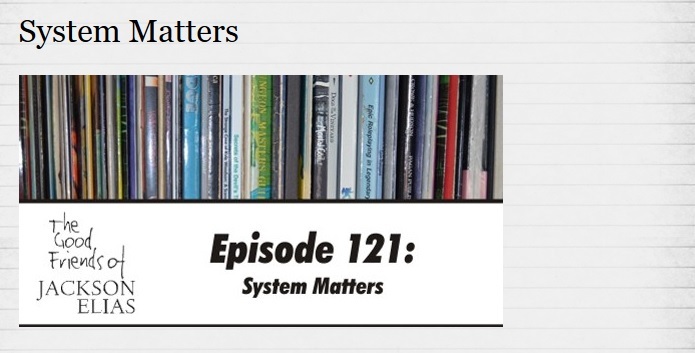 "System Does Matter" is a richly complex essay in spite of its seeming straightforward presentation of information. My experience with it was that it gives out exactly as much as you are willing to put in. It requires more than a single read, and you need to be willing to wrestle with the ideas and follow the unspoken ideas that are buoying up the spoken ones. The trap of the essay is that parts of it are immediately graspable and eye-opening if you hadn't thought about these issues before, so it's easy to think, "My god, I get it!" and go running off with your own thoughts rather than sticking around to hear the author's. Responding to the last bit: or to think, "My god, it's an abomination" and run to weapon-up, A-Team style. We ended up debating this in a private group I manage on fb, mainly among people who initially had only second or third-hand exposure to the essays, in a general atmosphere divided between resistance and curiosity. People bring a lot of baggage to the reading, and the essays feel like a conversation, as if you the reader are being spoken to. Working through that can be challenging and without help interpretating things, people can give up. 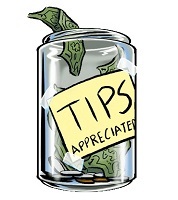 Your recent video series is an ideal response to that need for help. Been a long time coming! The credit probably belongs to Zac, visible in the Sorcerer Musik game at the time of this writing, who initiated a long email discussion with me a couple of years ago. He brought the right combination of doubt and interest, and got me thinking about how to make the effort worthwhile in both effect and, in terms of this site being eventually designed, money. If the podcast was to be analyzed, the questions I'd find more fruitful are less "do they get it?" and more "what do they get?" and "what do they not get?" I only casually followed the Forge, so I'm not really equipped to speculate. My take, naive as it is, is that if going through the Forge scholarship is an academic process, this podcast is folk knowledge. It's an entry level presentation that'll be insightful and interesting for people not already immersed, and gratingly outdated to people who have invested years in the lexicon. Sort of like finding out that the 101 class is using textbooks from two decades ago. Fairly literally, in this case. I'm reminded of something that one of my studio arts professors said: We tend to be more forgiving of the weird customs of absolute strangers than we are of heresies from our own traditions. Folks who obviously share similar foundations, but who've arrived in a different place can be a bit like sand in rather personal places. Lord save us from the people who understand us just well enough to get us wrong! The podcast is interesting on its own merits. It hasn't parsed through everything that you have, and its starting point is close enough to your own- from your own words, in fact- that the discrepancy between what you'd present right now v. what it presents is understandably confounding. But it is what it is, and honestly the amount of material one would go through to present the theories would be an intensive study. I suspect that your discomfort with the way the podcast presents the content is related to your desire to offer the seminar section of this site: now that you've parsed through it all, you're making it more accessible and less jargony? Boink. That was exactly what I needed to read. I was really struggling with this! I felt bad, especially for Scott, and frustrated with the commentary in an on-and-off way, but also appreciated that people were taking an effort, and appreciated that the material was even "out there" in a folk sense at all. After posting this I was torn between deleting it as an unjust lapse on my part, and seeing whether other eyes could help me. And you did. Everyone posting so far has, but this especially.